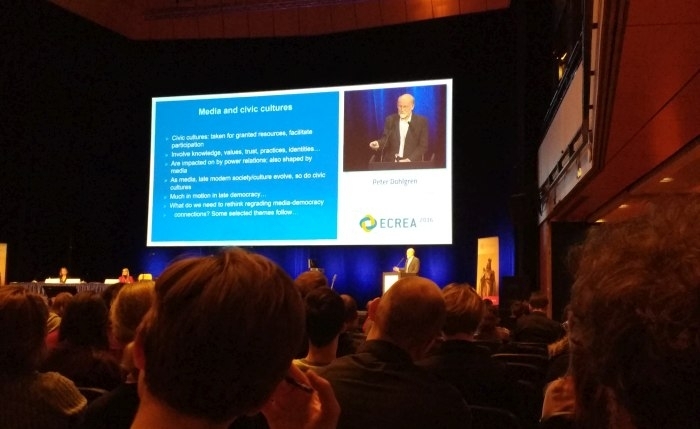 The biggest conference for European communication research, ECREA 2016 was held in Prague in the beginning of November. There was a lot of discussion going off- and online during the event. We collected some material here. The full abstracts of presentations are only available for registered delegates. Find them from the conference website. Some scholars have shared presentations of their papers after the conference. Here are some related to research on journalism. Axel Bruns of the Queensland University of Technology did an impressive amount of blogging during the conference. 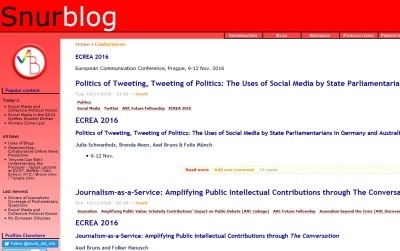 Over 40 posts from ECREA can be found from his website, Snurblog. The keynote lectures were recorded and are available on the conference’s YouTube channel. The conference team also did numerous interviews with researchers during the event. We also did interviews with scholars about their research interests during the conference. We will continue to publish the videos weekly. Find them from our ECREA playlist. Do you know of some material from the conference that we missed? Let us know via the feedback form below or Twitter.